1 minute walk to the Gulf of Mexico. Perfect one bedroom apt on the water, well furnished, quiet. Near stores and restaurants. Great for a relaxing getaway. Very nice, clean, quiet cabin on the bay! Location is everything! This place is convenient to beach, restaurants and I-75. You can even fish right out your front door on the dock! Clean, scenic and serene. Great location! 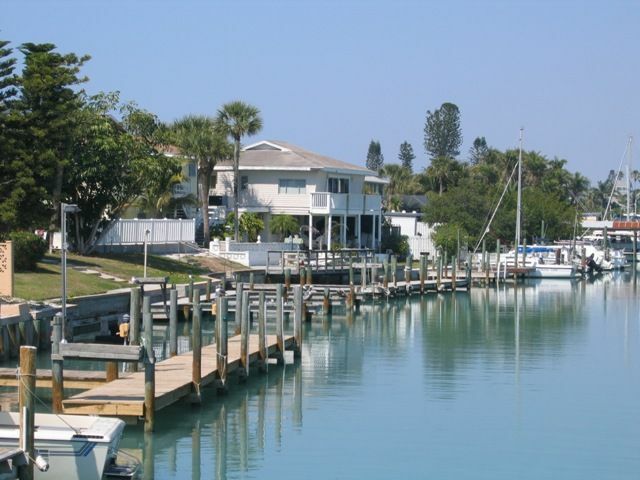 This small place near the bridge on Casey Key is perfect for one who likes to walk wherever they need to go -- easy to the beach, to a fun restaurants - (Pops), and right down the road from the end of the key facing the jetty of Venice -- great part right there. The place itself is clean as a whistle, and faces the canal out back - great for morning coffees with the birds that stroll by. Highly recommended for those who want to have a more intimate time away from their routines. Beautiful setting, large deck. It was very chilly during our stay but thankfully we found a heater which we very much appreciated. The apt was furnished nicely, plenty of towels, and there was a laundry room close by. Quiet neighborhood. We enjoyed the proximity to Sarasota and found a couple of good restaurants in Nokomis, the Breakfast Cottage and Mamma Leones. Very nice, well-equipped, great location! One of the nicest beach rentals we've ever stayed in. Everything was in excellent condition and well-maintained. Full size shower was a welcome surprise. Beach was just a few steps away across the street—a quiet section of Casey Key. Lovely porch behind it with canal access. We can't wait to stay here again. 3 minutes from Venice, 25 minutes from Sarasota.